During the recent honeymoon trip to the USA, Luca and I managed to visit 5 aerospace museums, 3 airplane assembly lines, 2 US air force bases and 1 space observatory… be sure some of the coming posts will be related to that side of the trip. 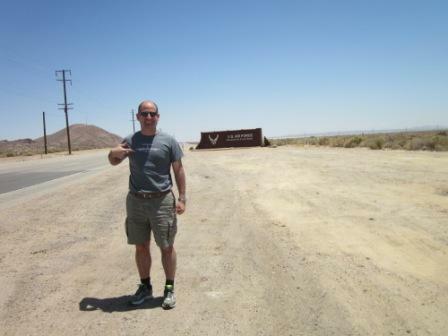 Since we were going to visit California and we would be around the desert of Mojave I thought that we could make a detour to visit Edwards Air Force Base, where the Flight Test Center of the USAF is located. The Flight Test Center has got a museum which is open to the public, for which identification is needed and no carry on items able to take pictures of videos are permitted. The museum is free and opens 5 days a week. On top of that there is a monthly guided visit of the air base, flight line included. This tour is offered only once a month and you have to subscribe with some time in advance. Several dozens of aircraft have first flown at Edwards and that, together with Rogers dry lake is what makes the place so special. 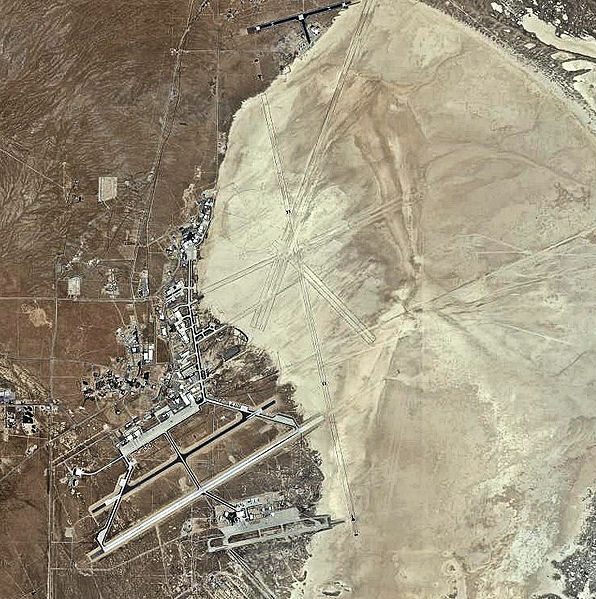 First Flights Wall at Edwards AFB (public domain image). Some very famous flights at Edwards: the Bell XS-1 which first reached the speed of sound with “Chuck” Yeager at the controls, the test campaigns of the YC-130 (Hercules), C-17 Globemaster III (and the prototype YC-15 from which it got many features), testing of the Space Shuttle, testing of today’s state of the art fighters F-22 and F-35… take a look at the wall to get an idea. 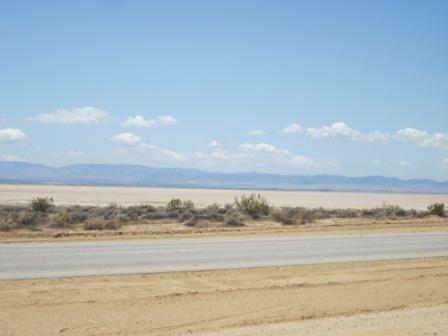 Rogers Dry Lake is by itself a national historic landmark. The lake formed thousands of years ago, and today it’s mostly dry along the year and the strength of the ground permits it to have several unpaved very long runways in its lakebed. The longest one being over 12 kilometers long. It also has the world’s greatest compass rose marked into the lake to help flight test pilots guide themselves. It was there, in the lake, where the now retired Space Shuttle would land in its return from space. The exhibit at the museum displays a replica of the XS-1, the first 2 F-22 prototypes, an exhibit about the formation of the lake, the history of the base, some remarkable test pilots, etc. The outdoors display has as a highlight a Lockheed SR-71 Blackbird (a classic in US aviation museums). Lockheed SR-71 Blackbird at Edwards (public domain image). The area of the base is of 1,200 km2 (this is about 1/7th of the region of Madrid). The visit to it, museum included, lasts about 3 hours. There are veterans offering explanations at the museum and at one restoration hangar within the base. Our guided tour was led by a young aerial photographer, Jet Set (what a name! :-)), who made if very enjoyable. Along the flight line of the base, for the pleasure of European-based spotters (who don’t have the chance to see them often), were some test F-35s, F-22s, C-17s, Global Hawks, F-16s, etc. Apart from some aircraft flying around. I, however, missed seeing the B-2 that was somewhere “hidden” in the base (next time!). Rosamond Dry Lake (a lake close to Rogers Dry Lake). “The Smithsonian Institution was founded for the “increase and diffusion of knowledge” from a bequest to the United States by the British scientist James Smithson (1765–1829), who never visited the new nation. In Smithson’s will, he stated that should his nephew, Henry James Hungerford, die without heirs, the Smithson estate would go to the government of the United States to create an “Establishment for the increase & diffusion of Knowledge among men”. During our last trip to USA, Luca and I visited both locations of the National Air & Space Museum of the Smithsonian institution. I had already been at the one in the Mall and I already talked about it briefly in a previous post. I wanted to write about the museum at Dulles, close to DC international airport. That museum is named after Steven F. Udvar Hazy, who is the CEO of Air Lease Corp, an airplanes leasing company. Previously he was chairman and CEO of ILFC, another leasing company, together with GECAS, one of the 2 biggest. The guy is a living legend or commercial markets: when he blessed or criticizes an aircraft it is seriously noticed by the manufacturers. He donated 65M$ to the Smithsonian to set up this museum and that’s why it carries his name. Thanks Steve! What a museum! The NASM is awesome! The museum has dozens if not over a hundred of airplanes, satellites, rockets, helicopters, etc., in display, all tagged with small explanation of the aircraft. On our visit we joined a free guided tour, another fabulous feature of the museum. Our guide was Bill Laux, a veteran pilot from the Navy. He was originally from Omaha where we would be going in a couple of days while he would be heading also in a couple of days to Belgium… crossing roads. We stayed with Bill for about 2 hours, following one explanation after the other, one curiosity here, another detail there, etc. I remember visiting Ellis Island in NYC 2 years ago with a ranger who also filled the tour with stories. This is something I really like: instead of paying for a quick tour or audio-guide, they make use of the willingness of these volunteers to pass on their knowledge. I have to admit that the session was for core aviation geeks, and I want to commend Luca for standing it. At the beginning we were a group of 10-12 people, wives and children included. The guide asked: “Who has got an aerospace background?” 4 or so of us raised hands… after 30 minutes of tour only Luca and those with aviation background continued with the tour (no sight of wives and children). After 1 hour 30 minutes, only Luca and me. After 2 hours the guide went “well, we’ve seen pretty much everything” :-). Thanks Bill! I scanned one of the sides of the map of the museum to post it here. The map covers the Boeing hangar, but bear in mind that there is another hangar missing (James S McDonnell, which hosts a Space Shuttle), an IMAX cinema, the restoration hangar and the control tower. The Space shuttle Enterprise: which never went to outer space as it was used only for training purposes, to let astronauts command the powerless flight after re-entry. Believe it or not, it was going to be named “Constitution”, trekkies had not stepped in. A Lockheed SR-71A Blackbird: the reconnaissance aircraft which set the record as fastest aircraft back in 1976. The Boeing 367-80 “Dash-80”, which as I already mentioned in a previous post, was the prototype Boeing built to test and market a new configuration for commercial jet aircraft, a configuration which all commercial aircraft have followed more or less ever since. The infamous B-29 Enola Gay. The Langley Aerodrome A: a model that Samuel Pierpont Langley (a manned flight pioneer and secretary of the Smithsonian institution at the time) used to try to set the first heavier-than-air flight… he didn’t, as the model crashed in the Potomac river. A Junkers 52 built by the Spanish CASA. A Boeing 307 Stratoliner: the first pressurized commercial aircraft. I would only give one point of improvement for the museum: now you cannot get into the aircraft except for simulators, if they would just change that policy it would be just perfect (in the Mall you can actually enter in some models, e.g. Spacelab). 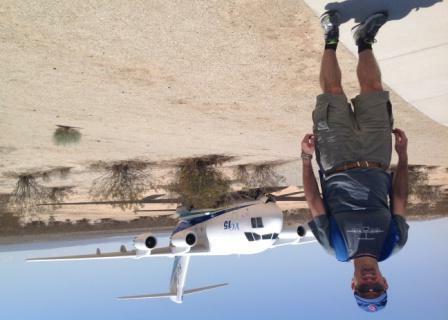 In future posts I will comment some of the details of some aircraft… give credit to Bill, our guide.